With comic brilliance and deep understanding, “The Seagull,” explores love, loss and what it means to be an artist in a society obsessed by celebrities. Anton Chekov’s masterpiece is filled with passion, jealousy and regret, as a renowned actress, her troubled son and their friends navigate a maze of romantic entanglements, in pursuit of love, acceptance and fame. Chekhov’s rich, multi-faceted characters, are brought to life by an ensemble of UNM’s finest actors in a dynamic modern translation, with stunning period costumes and magnificent scenic and lighting design. 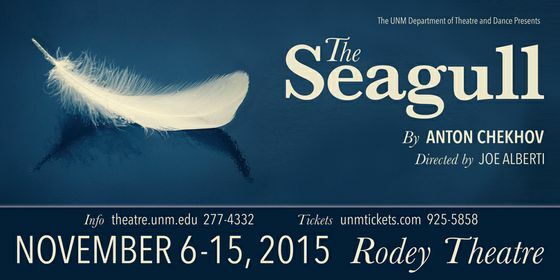 Performances of “The Seagull” run from Nov. 6 through 15 in Rodey Theatre located in the Center for the Arts on UNM’s main campus at 203 Cornell Avenue NE. Chekhov is recognized both as an author of short stories and as a playwright, particularly for four great classic plays, of which “The Seagull” was the first. The premiere was not well received, but its subsequent production by famed director Konstantin Stanislavsky received praise from audiences and critics. Chekhov and Stanislavsky continued to collaborate for The Moscow Art Theatre and their work was the foundation of modern acting technique. Although Chekov labeled his work a comedy, there are serious aspects of the play. “This play, as do all Chekhov plays, deals with very basic human needs and wants, such as the need for love, positive self-esteem and self-respect,” Alberti said. This production features a dynamic, modern translation by Russian-language scholar and actor Paul Schmidt, whose work has been hailed as the “gold standard” in Russian-English translation. 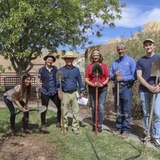 UNM’s Department of Theatre and Dance is well known for its Design for Performance program, with graduates working professionally throughout the field, often receiving major awards for their work. Design for Performance major Kelly Erickson is creating period costume designs for this production of “The Seagull.” The scenic design is by Assistant Professor Inseung Park and lighting and sound design is by Assistant Professor William Liotta. The cast includes Donovan Rogers as Dorn, Gino Gonzales as Trigorin, Wesley Swedenburg as Medvedenko, Josh Jones as Treplev, Samuel Shoemaker-Trejo as Yakov, Cheyenne Bilbrey as Nina, Eboni Thompson as Irina Arkadina, Sara Rosenthal and Sage Hughes as maids, J.D. Otsuka as Sorin, Clay Space as Shamrayev, Rebecca Gettler as The Cook/Attendant, Kaitlyn Barlow as Masha, and Gabby Lara as Paulina. 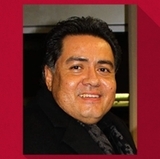 The stage manger is Eddie Carrion. Ticket prices are $15 General admission, $12 UNM Faculty & Seniors, and $10 UNM Staff & all Students. Tickets are available at the UNM Ticket Offices located at the UNM Bookstore at Central and Cornell, or the Arena (The Pit) at University and Avenida Caesar Chavez. Tickets may also be purchased online at or by calling 505-925-5858. 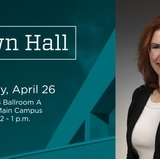 More information is available online at or by calling 505-277-4332.